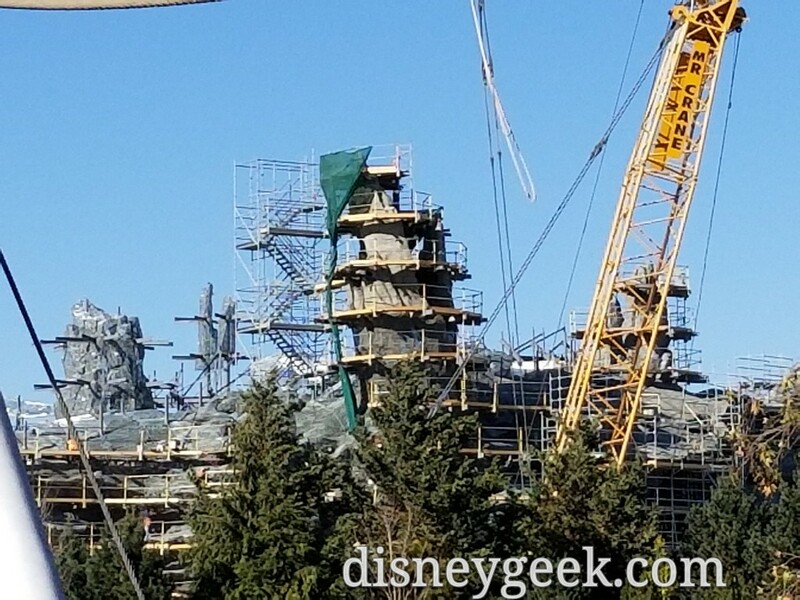 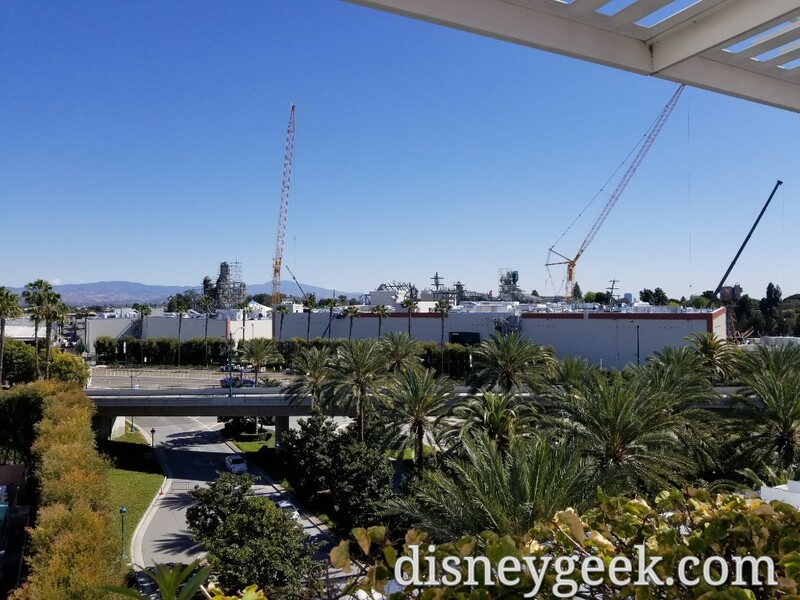 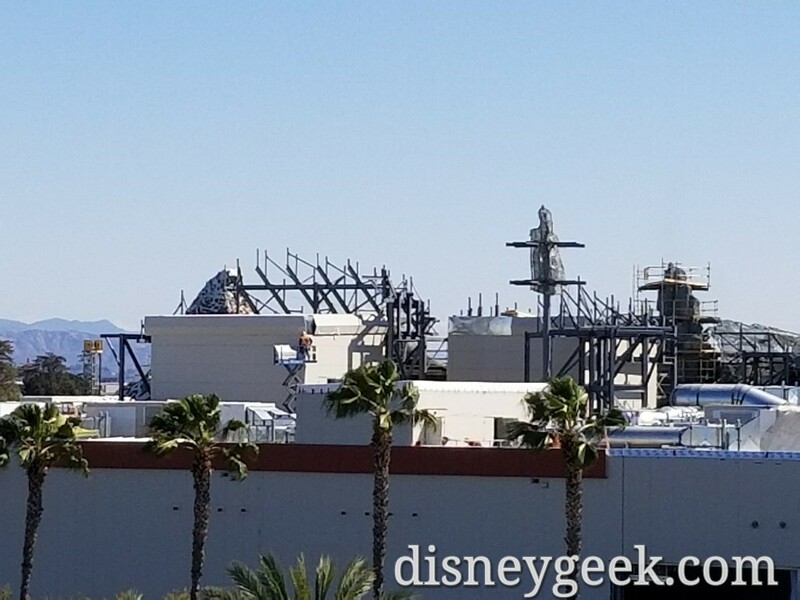 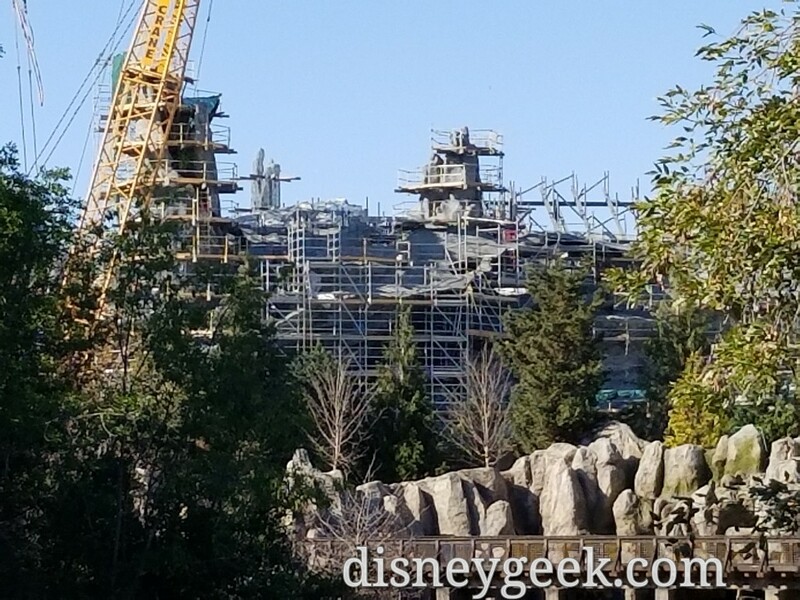 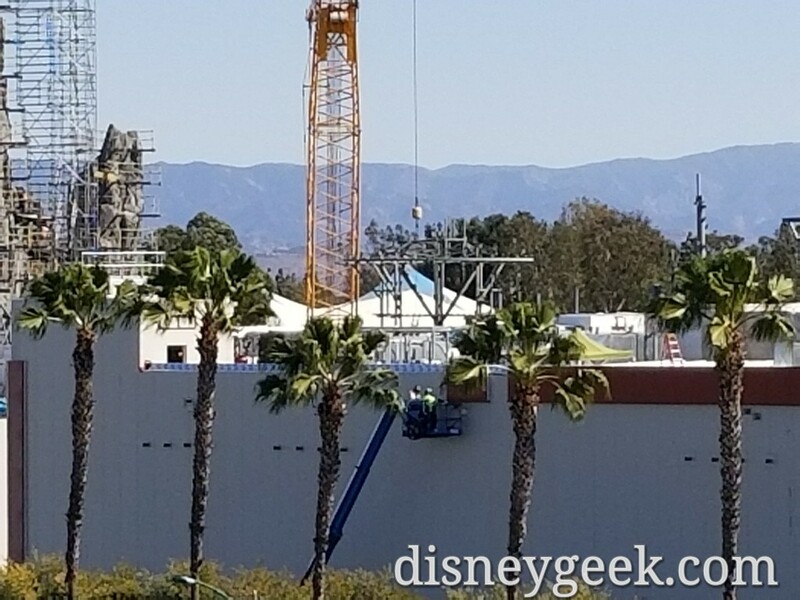 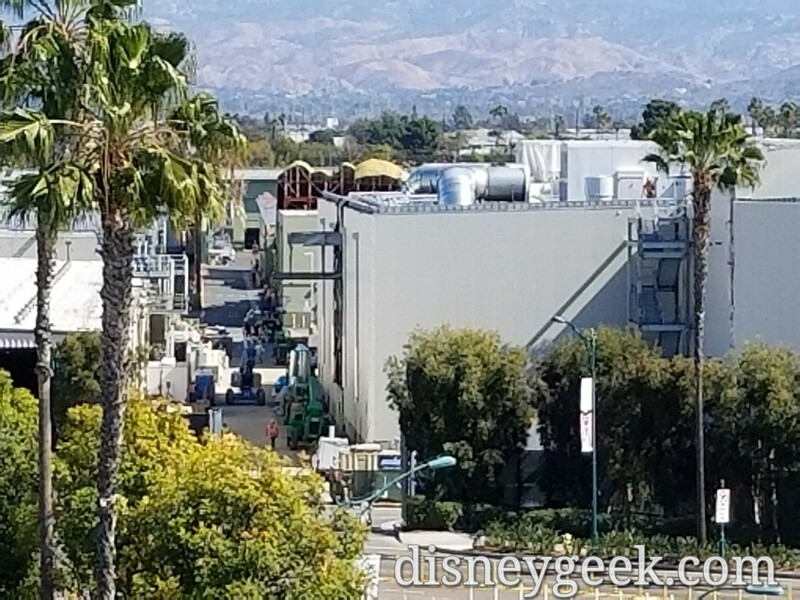 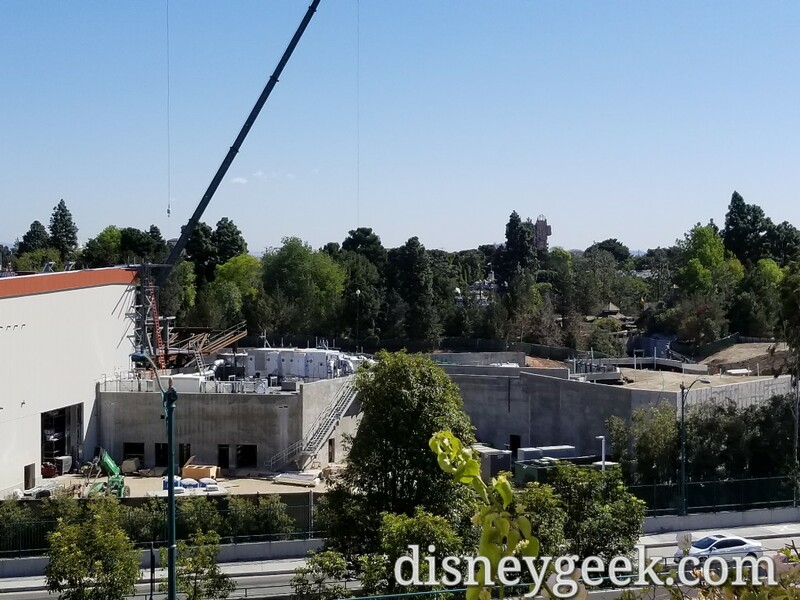 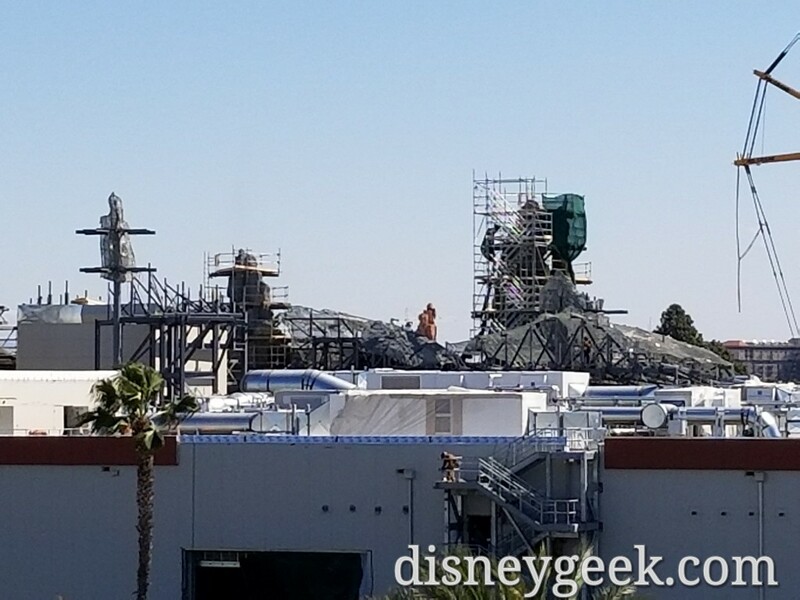 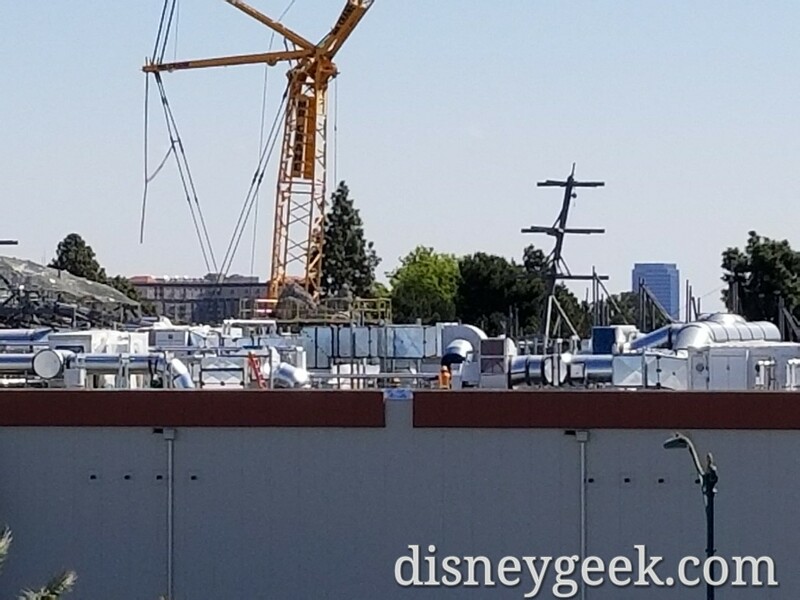 Starting on the left/north with the Millennium Falcon show building status and then panning to the right. 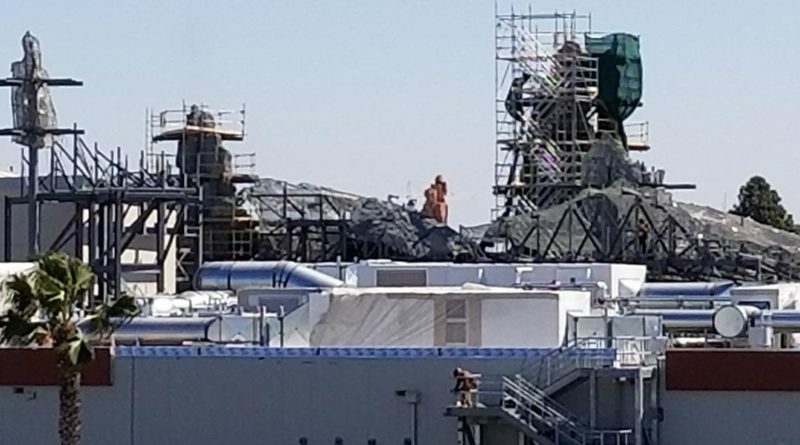 Not a lot of visible change on the structure rising from the village area. 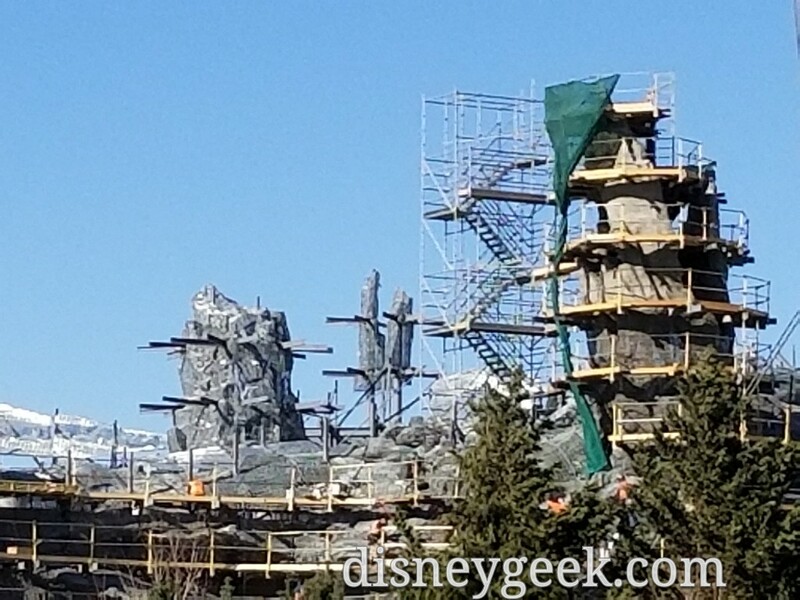 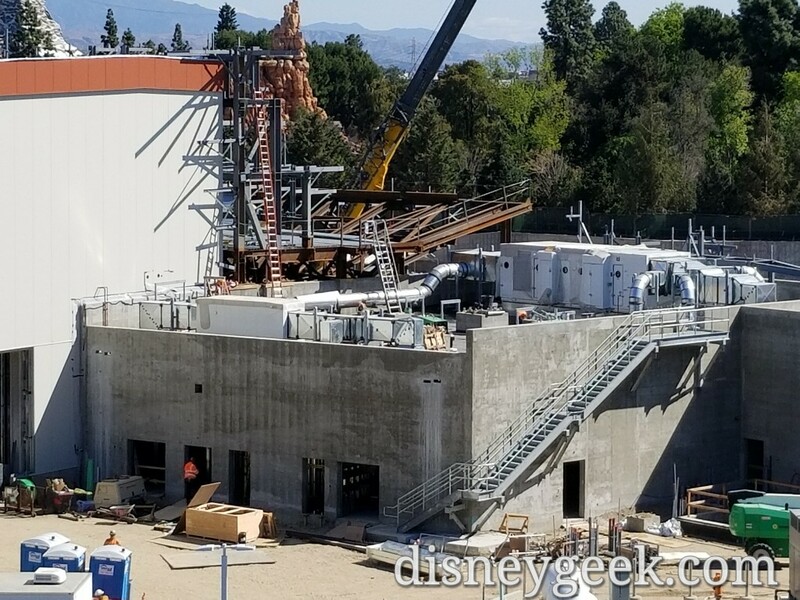 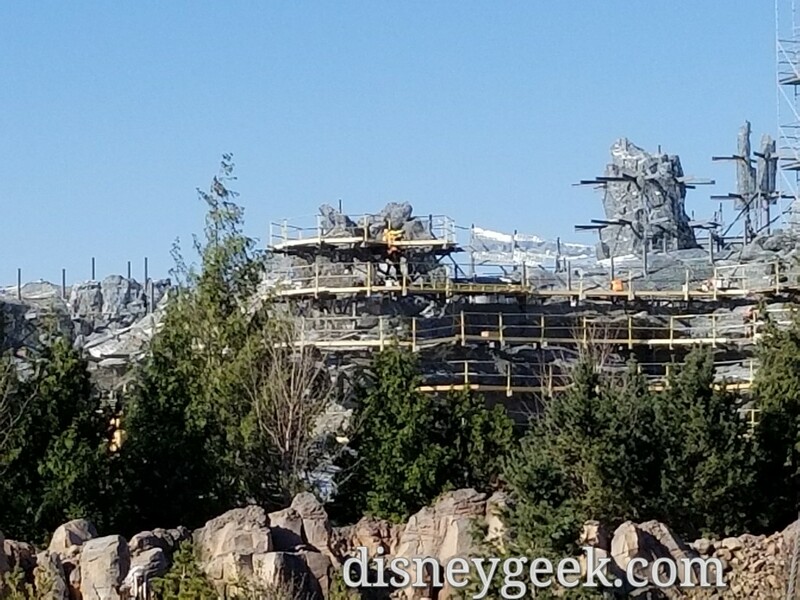 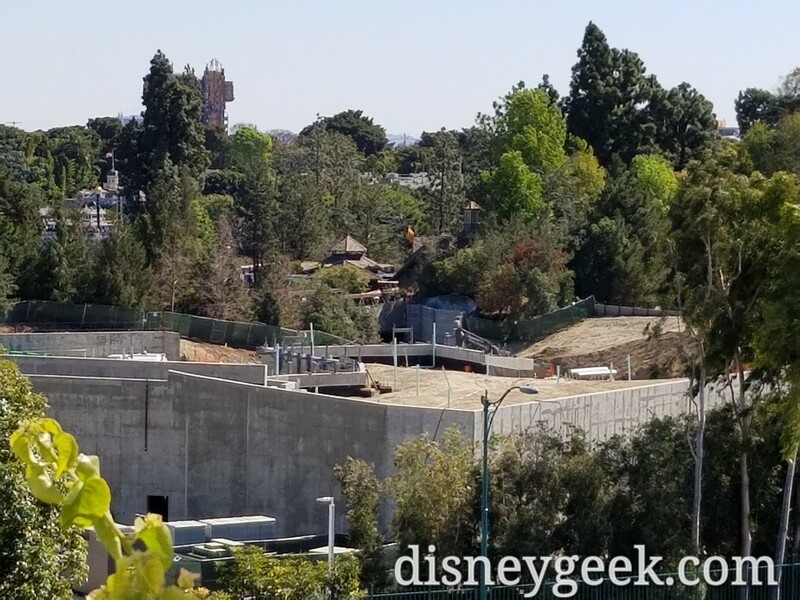 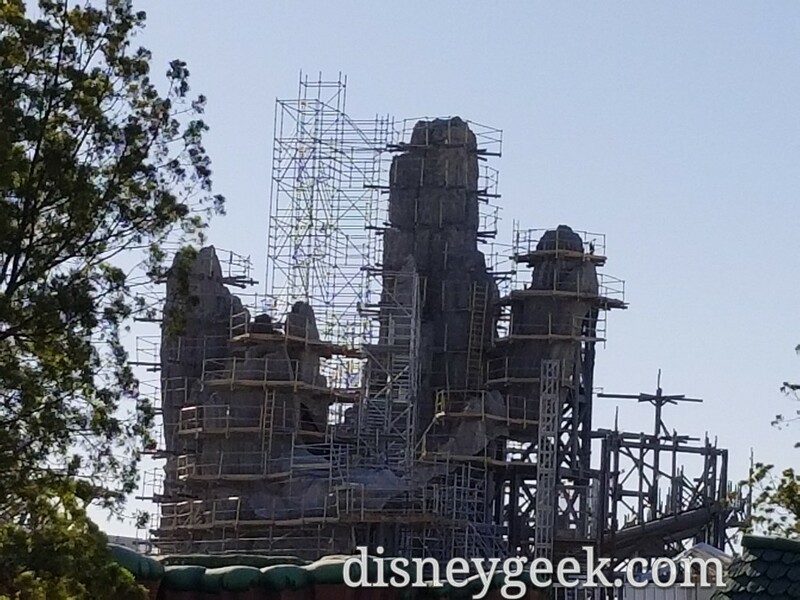 More steel and mesh on the rock work that will hide the Battle Escape building. 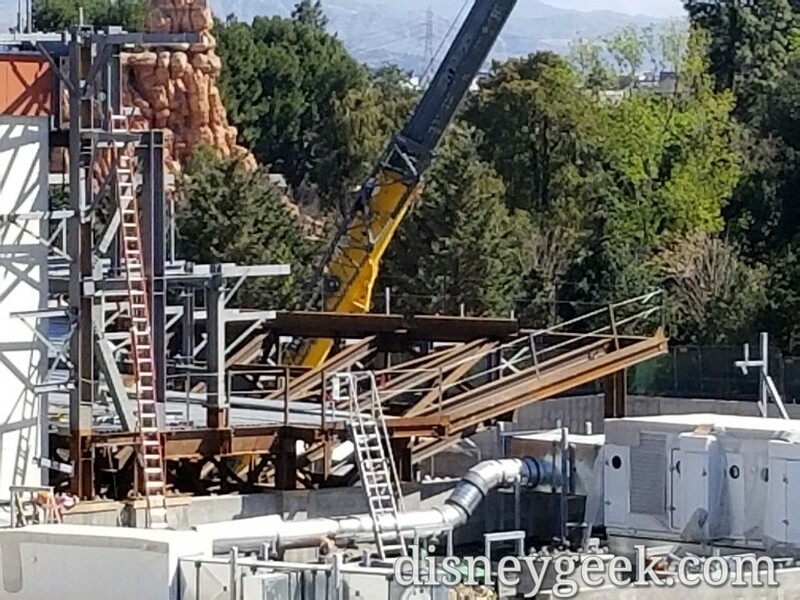 Steel being added to support more rockwork above/around the structure on the park side. 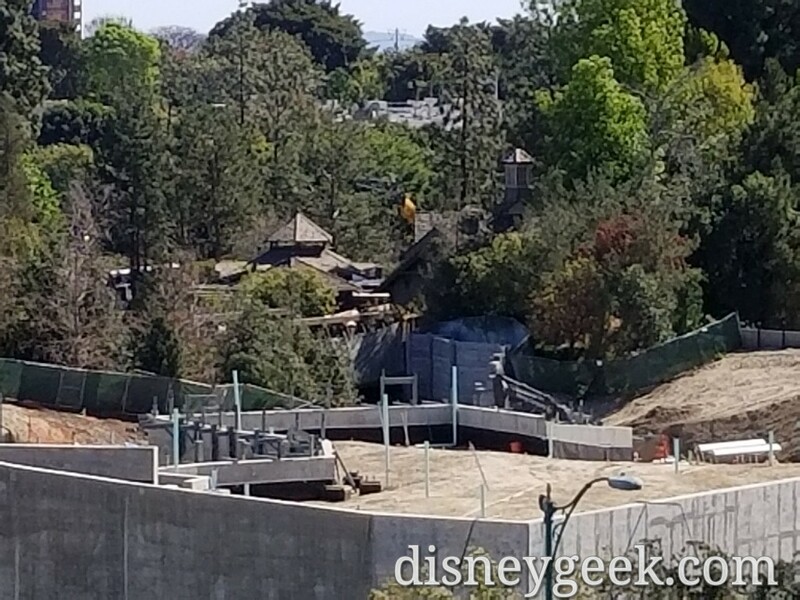 Toward Critter Country steel is being added too.